Putnam County Playhouse: McFadden Prevails In Close Upstage Award Contest! Actor Ric McFadden was the winner of the 2013 Upstage Award. 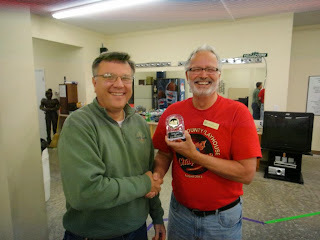 He won for his performance as "The Superintendent" in the August production of the musical The Drowsy Chaperone. 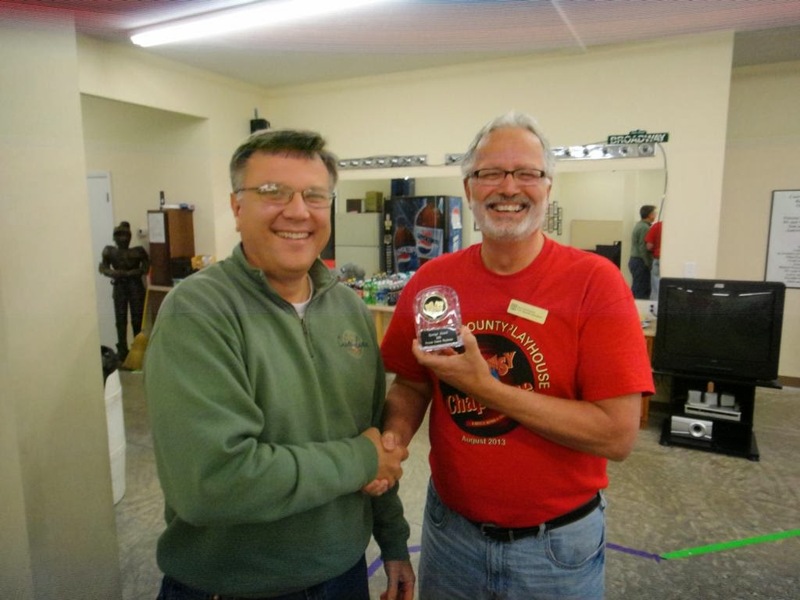 The Award was presented to McFadden by PCPH Treasurer Mark Hammer at the October 27th Annual Meeting. Mark Hammer (left) & McFadden at the ceremony. 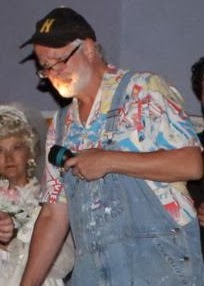 McFadden has previously won the award for performances in I'll Be Back Before Midnight and Don't Drink the Water.